The IMAK Arthritis Socks help relieve aches, pains, and stiffness associated with arthritis of the feet. The unique design provides mild compression for warmth and helps increase circulation to promote healing. 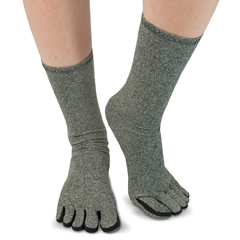 The Arthritis Socks are made of soft breathable cotton material.